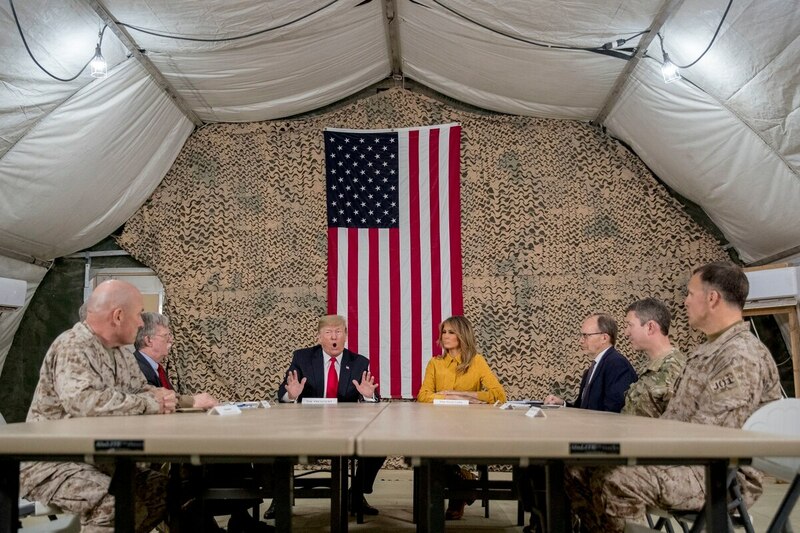 President Donald Trump reaffirmed his intention to withdraw the roughly 2,000 U.S. troops in Syria, while adding that they will be shifted to Iraq, during an interview this weekend. From Iraq, U.S. forces would be well-positioned to push back into Syria if the Islamic State regroups, Trump told CBS' “Face the Nation” Sunday. Trump did not clarify whether any U.S. troops or equipment already departed Syria. After the final remnants of ISIS' physical caliphate falls, the troops will go to al-Asad Air Base in western Iraq’s Anbar province, he said. The base, which Trump visited in December, is jointly operated by U.S. and Iraqi armed forces. American-backed Syrian Democratic Forces and U.S. airstrikes have cornered ISIS in an area roughly the size of three square miles in the Middle Euphrates River Valley, near the Syria-Iraq border. The coalition in Iraq is working to transition the U.S. Air Force into a less-kinetic role, but Islamic State holdouts across a still-fragile Iraq require attention. Trump did not say whether there was a timeline for the movement of troops to Iraq. However, he did clarify that their purpose in Iraq was not to strike Iran. The New York Times reported after the CBS interview that U.S. and Iraqi officials have been in negotiations over the troop movements. 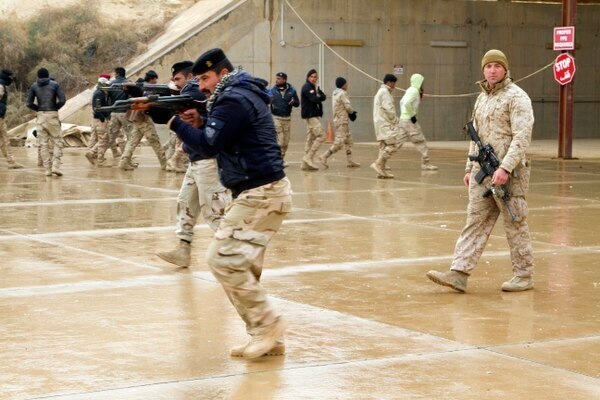 Senior U.S. military officers have “recently visited several Iraqi bases, including Erbil and Al Asad Air Base as well as smaller ones closer to the Syrian border," the Times reported. The U.S. maintains a small outpost at al-Tanf, a key border crossing close to Jordan’s northeastern tip. Members of Iraq’s parliament have not been fond of the ongoing presence of U.S. troops. Iraqi militias backed by Iran and politicians loyal to Shia cleric Muqtada al-Sadr have come out against the U.S. presence in Iraq beyond the defeat of ISIS. Over the past month, some Iranian-backed groups have called on the Iraqi government to remove of all foreign troops from the country. Iraqi President Barham Salih said in response to Trump’s comments on Monday that U.S. troops are in Iraq under an agreement to combat terrorism, and that they should stick to that, according to Reuters.